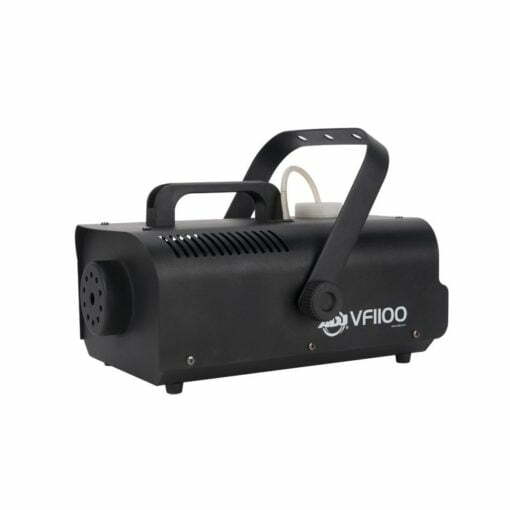 Home / Special FX / Smoke Fog Machines / ADJ VF1000 Fog Machine 850w. Comes with Wired & Wireless Remote Control Units! 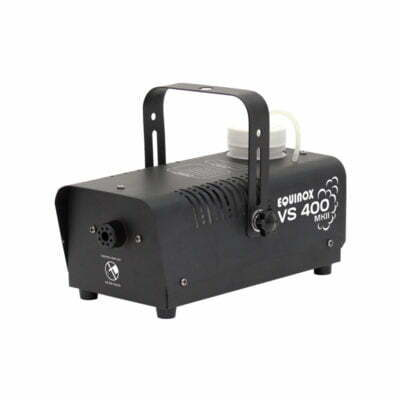 Buy the ADJ VF1000 Fog Machine 850w form Yowcha in Grimsby, UK or online! 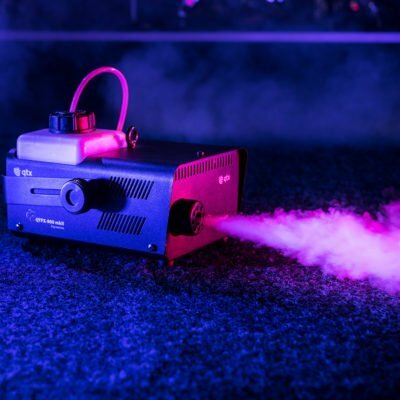 The ADJ VF1100 is a 850W mobile wireless Fog Machine that is great for mobile entertainers, and medium size nightclub and bars that want to add atmosphere to their events, plus it allows people to see the beams from the lighting fixtures. 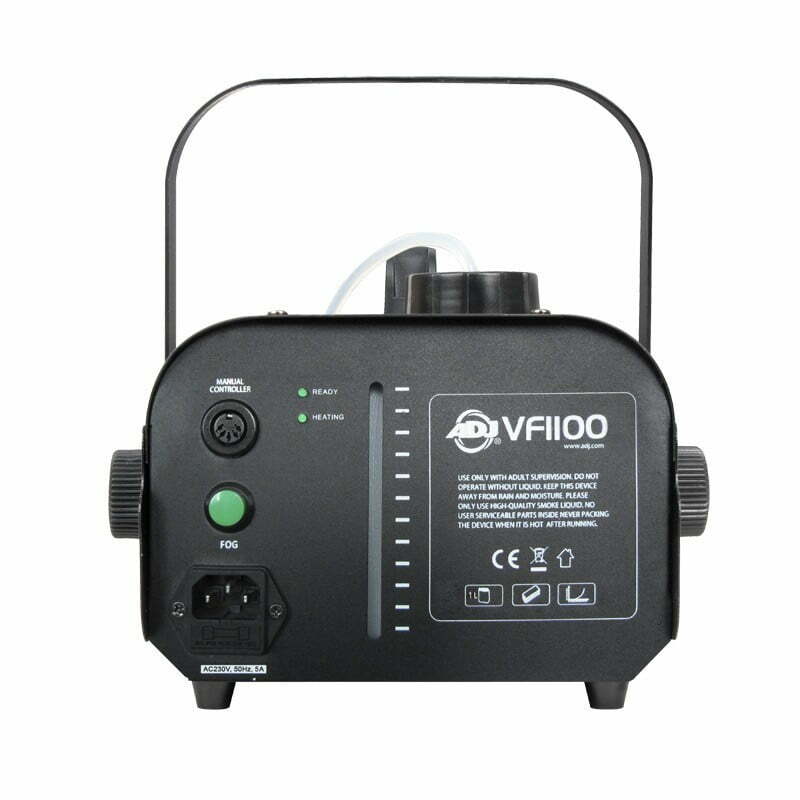 The VF1100 is equipped with a high efficiency heater that quickly burns through the fog liquid. 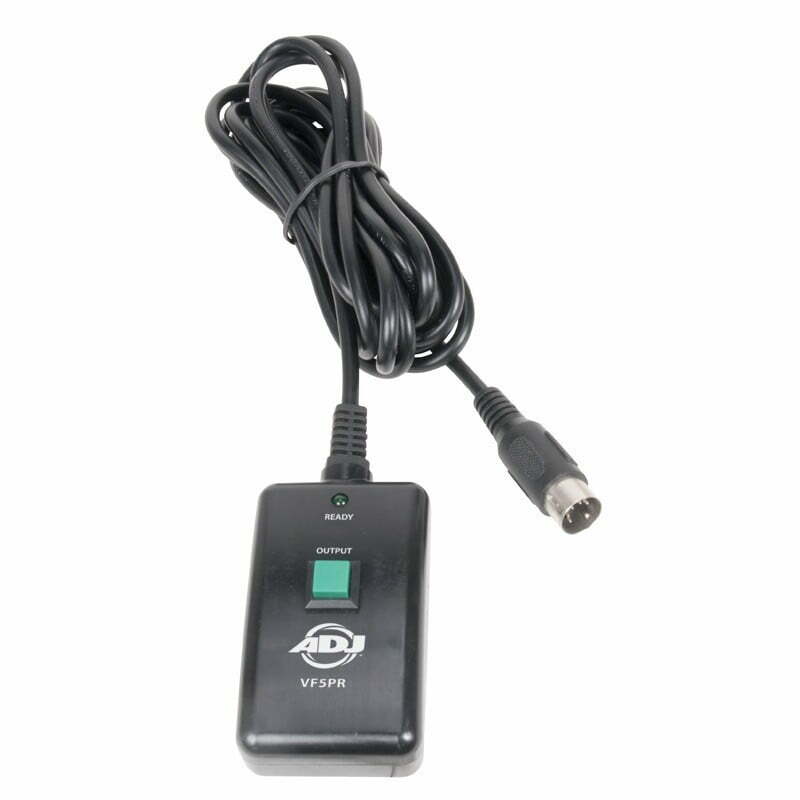 It comes with a 1 litre internal fog fluid tank, has a fog fluid level indicator, comes with a wired and a wireless remote control, and uses water bases fog fluid. 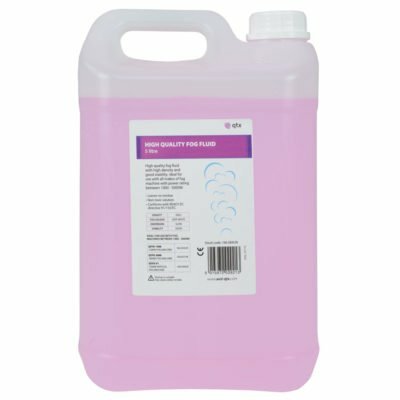 Advanced features include: Electronic Thermo Sensing (ETS) for optimum heating levels, and a low fog fluid shut off sensor to protect the pump. For any Questions about our ADJ VF1000 Fog Machine 850w; or for Prices on delivery to the EU please contact us. Or; why not visit our Facebook page and follow us? You can see ALL the latest info as it happens!